To confirm your booking a deposit of 25% is required. Full payment must be made at least two weeks prior to your adventure. 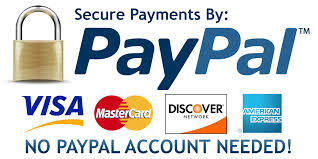 Please request Spirited Adventure’s bank accounts details for a direct transfer. Postponement & rebooking within the year – No charge with min 6 weeks notice. Notice of 6 weeks or more you will receive a 90% refund. 10% is held back to cover administrative costs. Notice of 2 - 6 weeks you will receive a 50% refund. 50% is held back to cover administrative costs & loss of other potential bookings. Notice of 2 weeks or less sadly we will not be able to refund your fee. At such short notice it is unlikely we will be able to make a replacement booking.